Preheat the oven to 400°. Line a baking sheet with foil. Lay the saltine crackers out side-by-side on the baking sheet so that together they form a large rectangle. Bring the butter and sugar to a boil, and continue boiling until the mixture reaches the soft ball stage. 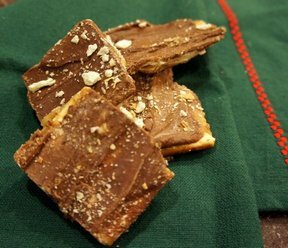 Pour the toffee over the crackers and spread evenly. Bake for 5-7 minutes. 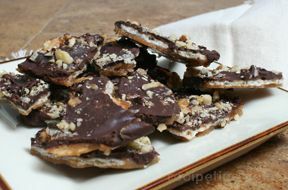 Pour the chocolate chips over the toffee/crackers and return to oven for 30 seconds. Spread the melted chocolate evenly. Cool to set and harden. 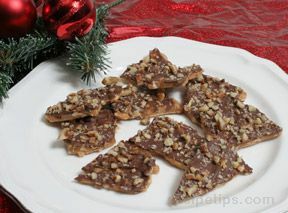 Break the toffee into pieces and enjoy!